The kidneys are one of our vital organs, performing the important job of filtering impurities from the blood and eliminating wastes from the body in the form of urine. The kidneys also play the important role of regulating electrolyte levels in the body, a task that is vital for proper bodily functioning. Urine that is produced is eliminated from the body through the ureters, which is a narrow tube that drains from the kidneys into the bladder. As urine accumulates in the bladder and the bladder gets filled you experience the urge to urinate and the urine is then emptied from the bladder through the urethra. The urethra is a much wider tube as compared to the ureter. Kidney stones can pose a serious problem impairing the kidney functions and obstructing the elimination of urine. The problem of kidney stones arises because of the crystallization of certain chemicals or minerals in the urine giving rise todifferent types of kidney stones like uric acid kidney stones or calcium stones. At the time of formation these kidney stones are actually miniscule, smaller than a grain of sand, and may cause no visible symptoms at all. But they tend to grow larger over time reaching up to a tenth of an inch or even larger. The size of the kidney stones however is not always as much of a concern as would be the location of the kidney stones. If stones develop or are present in the urinary tract the condition is referred to as urolithiasis, while the presence of stones in the kidneys is referred to as nephrolithiasis, and stones lodged in the ureter are referred to as ureterolithiasis. If the stone is located in such a position as to cause a blockage or obstruction of urine flow, then it could be problematic. 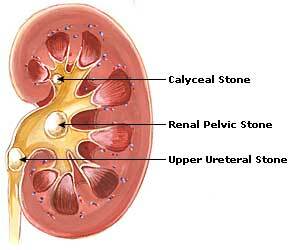 The kidneys continue to function normally even upon the formation of stones. The kidneys continue to filter wastes and generate urine and there is usually no immediate problem. As the stone expands in size or moves the problems can start to emerge. If the kidney stone slips into the ureter it begins to act like a dam, restricting the flow of urine. Pressure from urine accumulation builds up behind the stone deposit and as the pressure builds it causes the kidneys to swell up, causing pain. This is the pain that is associated with kidney stones. As this pressure builds up though, it may cause the stone to be pushed along the course of the ureter, expelling it into the bladder. When this happens the pressure on the kidneys is relieved and the symptoms of a kidney stone will dissipate. The formation of stones in the kidneys or urinary tract is not an uncommon disorder. The stones are formed from the chemicals usually found in the urine such as uric acid, phosphorus, calcium, and oxalic acid. They may vary in consistency from grit, sand, and gravel-like obstructions the size of a bird's egg. Stones may form and grow because the concentration of a particular substance in the urine exceeds its solubility. Most kidney stones are composed either of calcium oxalate or phosphate, the latter being most common in the presence of infection. About ninety per cent of all stones contain calcium as the chief constituent. More than half of these are mixtures of calcium, ammonium and magnesium, phosphates and carbonates, while the remainder contain oxalate. Kidney stones are a relatively common problem, and under normal circumstances are non-threatening but should be treated very seriously. Although kidney stones in themselves may not pose any severe risk, neglecting them puts you at serious risk of permanent damage to the kidneys or at risk of other complications developing. Mild cases of kidney stones may in fact need no medical treatment and following some simple home remedies could help to get rid of kidney stones naturally and quite fast. Following certain dietary remedies could also help to dissolve kidney stones naturally. Passing kidney stones can however cause excruciating pain, and the condition does cause other painful symptoms like pain in the back, in the side and just below the ribs, radiating towards the groins and lower abdomen. The pain that is experienced may change however as the kidney stone changes its location. Most home remedies for kidney stones pain and conventional medications are meant to provide kidney stone pain relief. In cases where there is a high risk of kidney stones recurring or in cases of recurrent kidney stones, medical attention would however be necessary. Kidney stones usually cause severe pain in their attempt to pass down the ureter on their way to the bladder. The pain is first felt in the side and, thereafter, in the groin and thighs. Other symptoms, of kidney stones are a frequent desire to urinate, painful urination, scanty urination, nausea, vomiting, sweating, and chills. The patient may also pass blood with the urine. • Severe pain towards the side and back, just beneath the ribs. • Pain may radiate from the groins and lower abdomen and urination is likely to be particularly painful. The formation of stones in the kidneys is the result of defects in the general metabolism.They usually occur when the urine becomes highly concentrated due to heavy perspiration or insufficient intake of fluids. They are aggravated by a sedentary life-style. The other causes are a wrong diet, excess intake of acid-forming foods, white flour and sugar products, meat, tea,coffee, condiments and spices, rich foods, and overeating. Lack of vitamin A and an excessive intake of vitamin D may also lead to formation of stones. Keep in mind that a proper diagnosis of the causes is absolutely essential for any effective course of treatment, whether with conventional medical procedures for kidney stone removal and recovery or with natural methods, like a diet to prevent kidney stones. If you suspect that you have kidney stones it is therefore important that you visit your doctor promptly for an accurate diagnosis so as to identify the nature of the kidney stones. This is particularly important from the home treatment aspect as the foods that cause kidney stone will defer depending on the nature of kidney stones. For example, the prevention and treatment of uric acid kidney stones would require avoidance or drastic reduction of foods rich in uric acid for any symptomatic kidney stone relief, while calcium stones would call for a decreased calcium intake. The actual causes that lead to such an excessive build up of these minerals or chemicals that then crystallize to form kidney stones could be attributed to various factors, mainly dietary, but also hereditary and due to various other factors. Kidney beans, also known as dried French beans or Rajmah, are regarded as a very effective home remedy for kidney problems, including kidney stones. The method prescribed to prepare the medicine is to remove the beans from inside the pods, then slice the pods and put about sixty grams in four litre of hot water, boiling them slowly for six hours. This liquid should be strained through fine muslin and then allowed to cool for about eight hours. Thereafter the fluid should be poured through another piece of muslin without stirring.A glass of this decoction should be given to the patient every two hours throughout the day for one day and, thereafter, it may be taken several times a week. This decoction would not work if it was more than twenty-four hours old. The pods could be kept for longer periods but once they were boiled, the therapeutic factor would disappear after one day. Basil has a strengthening effect on the kidneys.In case of kidney stones, one teaspoon each of basil juice and honey should be taken daily for six months. It has been found that stones can be expelled from the urinary tract by this treatment. Celery is a valuable food for those who are prone to getting stones in the kidneys or gall-bladder. Its regular intake prevents future stone formation. Apples are useful in kidney stones. In countries where the natural unsweetened cider is a common beverage, cases of stones or calculus are practically absent. The ripe fresh fruit is, however, more valuable. Grapes have an exceptional diuretic value on account of their high contents of water and potassium salt. The value of this fruit in kidney troubles is enhanced by its low albumin and sodium chloride content. It is an excellent cure for kidney stones. The seeds of both sour and sweet pomegranates are useful medicine for kidney stones. A tablespoon of the seeds, ground into a fine paste, can be given along with a cup of horse gram (kulthi) soup to dissolve gravel in kidneys. Two tablespoons of horse gram should be used for preparing the cup of soup. Watermelon contains the highest concentration of water amongst all fruits. It is also rich in potassium salts. It is one of the safest and best diuretics which can be used with beneficial result in kidney stones. Research has shown the remarkable therapeutic success of vitamin B6 or pyridoxine in the treatment of kidney Stones. A daily therapeutic does of 100 to 150 mg of vitamin B6, preferably, combined with other B complex vitamins, should be continued for several months for getting a permanent cure. Avoid foods like alcoholic beverages; condiments and pickles; certain vegetables like cucumber, radish. A patient with kidney stones should avoid foods, which irritate the kidneys, to control acidity or alkalinity of the urine. He should also ensure adequate intake of fluids to prevent the urine from becoming concentrated. The foods considered irritants to the kidneys are alcoholic beverages; condiments and pickles; certain vegetables like cucumber, radish, tomato, spinach, rhubarb; those with a strong aroma such as asparagus, onion, beans, cabbage, and cauliflower; meat and gravies; and carbonated waters. For controlling the formation of calcium phosphate stones, the intake of calcium and phosphates should be restricted. Foods which should be avoided are wholewheat flour, Chickpea, peas, soyabean, beet, spinach, cauliflower, turnips, carrots, almonds, and coconuts. When stones are composed of calcium, magnesium phosphates, and carbonates, the diet should be so regulated as to maintain an acidic urine. On the other hand, the urine should be kept alkaline if oxalate and uric acid stones are being formed. In the latter case, fruits and vegetables should be liberally used, and acid-forming foods should be kept to the minimum necessary for satisfactory nutrition. In case of uric stones, foods with a high purine content such as sweet breads, liver, and kidney should be avoided. The patient should take a low-protein diet, restricting protein to one gram per kilogram of food. A liberal intake of fluid upto three litres or more daily is essential to prevent the precipitation of salt into the form of stones. The patient should be given a large warm enema, followed by a hot bath with a temperature of 37.8oC, gradually increased to 44.5°C. During the bath, the head should be wrapped in a cold towel. Hot fomentation applied across the back in the region of the kidneys will relieve the pain. Certain yogasanas such as pavanmuktasana, uttanpadasana, bhujangasana, dhanurasana, and halasana are also beneficial as they activate the kidneys. • Change in urine color, with urine being pink, red or brown is also likely. You may also feel a persistent urge to urinate. • At times there may also be nausea and possibly vomiting. • If there is also an infection you may experience fevers and chills. In severe cases of kidney stones the pain can be so unbearable that it may be hard to sit still or find any position that does not cause discomfort. In such serious situations it is imperative that you seek medical treatment promptly. Fevers or chills and nausea and vomiting are also symptoms that the kidney stone problem is quite serious and also that there is a possible infection. This requires prompt medical attention as damage to the kidneys is irreparable and kidney infections can be quite serious. This information is solely for informational purposes. 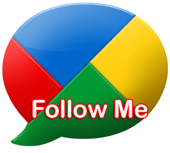 IT IS NOT INTENDED TO PROVIDE MEDICAL ADVICE and should not be treated as a substitute for the medical advice of your own doctor.